In the past few days, Israeli police have twice harassed Palestinians in the Sheikh Jarrah neighbourhood of occupied East Jerusalem. First, in the evening of Thursday 19 November 2009, an Israeli police officer threatened to murder Saleh Diab, who’s family is at risk of being evicted from their home in Sheikh Jarrah. 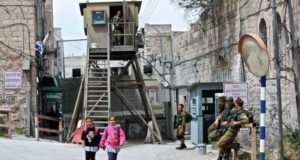 The situation arose when Palestinians in the neighbourhood gathered around a concussion suffering victim of a fight between two Palestinians, and an ambulance and three police vehicles arrived at the scene. The police talked to Palestinians in the crowd and after a while grabbed Saleh (who was not involved in the fight) by the arm and took him away from the crowd to behind their vehicle as if they intended to arrest him. An international activist following Saleh to observe his treatment was instructed by the police to back well away. The police then talked to Saleh before releasing him. According to Saleh, one of the police officers said that he would kill Saleh. Second, around midnight of Saturday 21 November 2009, an Israeli police vehicle and two police officers arrived at the Gawi family tent, where the Gawi family have been living since they were forcefully evicted from their now occupied house on 2 August 2009. Eight Palestinians (family members and neighbours) and an international activist were sitting around the fire by the tent. 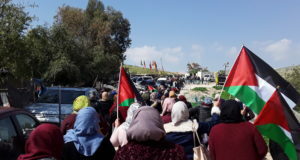 The police said the settlers in the Gawi house accused the Palestinians of throwing stones at the house; a false accusation according to the Palestinians and activist. The police collected the ID cards of the Palestinians and checked them in their computer system. The police then told the Palestinians that they were all to be arrested. The situation, with only two police officers to arrest a larger group of Palestinians and on false accusation, prompted the Palestinians to question the police action. After further discussion, the police returned the ID cards and left without arresting anyone, 15 minutes after they arrived.